Maximize floor space in the booth with the MAGNETIC BLOWER HANGER™. 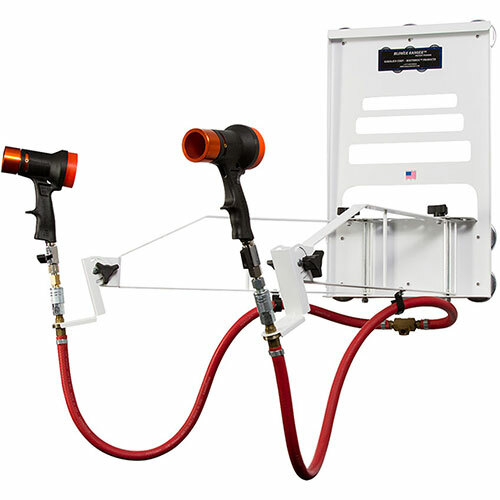 Move anywhere on the booth wall, and easily aim your blowers at the targets. Its wide reach and pivoting movement makes it extremely easy to use. There is no air piping, drilling or retrofitting necessary. Just attach it to the wall using its powerful magnets and plug in the air hose.